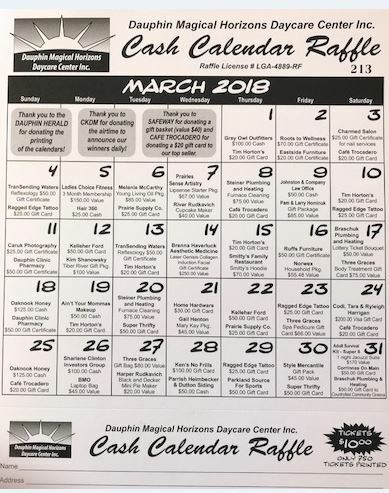 DCP donated $100 in DCP gift certificates to the Magical Horizons Daycare Cash Calendar Fundraiser. There are great prizes to be won! All draws will be held March 1st, 2018.